Insomniac – the once PlayStation-only developer behind the Resistance and Ratchet and Clank series – apparently teased Sunset Overdrive – its Xbox One exclusive open-world action game – at last year’s E3. I can’t remember whether it did or not. It matters not, though, as today it released a game play trailer of its new game – and my ears are perked and my interest piqued. Yee, haa: Taking the hurt to some mutants with a gun seemingly called the Captain Ahab. Set in 2027, the game details what happens when a greedy company FizzCo inadvertently turns the population of Sunset City into deranged mutants after the launch of its new soft drink, Overcharge Delirium XT. Those that have been transformed are called the OD’D. FizzCo puts the city under lock-down as more and more people become addicted to the energy drink. Seventeen days after the incident, you’re still locked in the city, along with other survivors in a variety of factions. 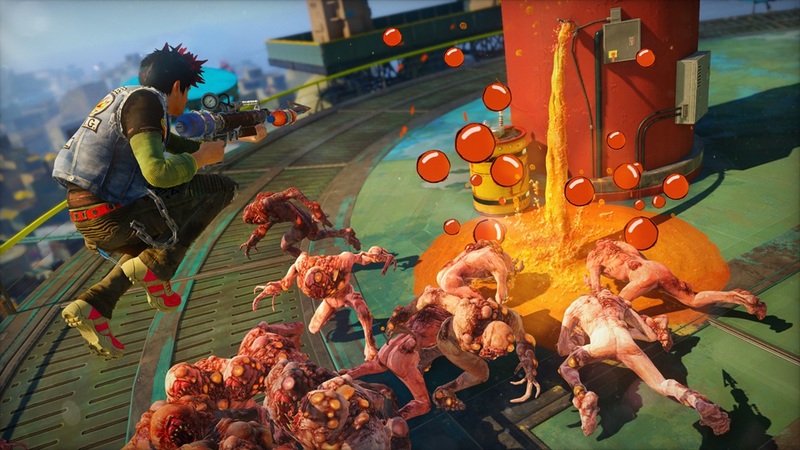 The trailer shows how players can chain together parkour moves, use ziplines and grind on rails to take on the mutant hordes. The world looks bright and colour and it looks like it’s a mix of games like Jet Set Radio, Prince or Persia and maybe Saints Row, especially when it comes to some of the crazy weapons on offer. Look out, Herker about: This enemy is called a Herker – and it looks angry. One weapon fires roman candle fireworks, another fires limited edition vinyl LPs and yet another fires small teddy bears strapped with dynamite. Just watch the trailer: You’ll see what I mean. Something I liked from the trailer is the way respawns are handled when you died. The video shows the player being dropped from a UFO, tossed from a moving van and popping out from a coffin, doing a stupid mummy walk. There’s a lot of humour going on here. 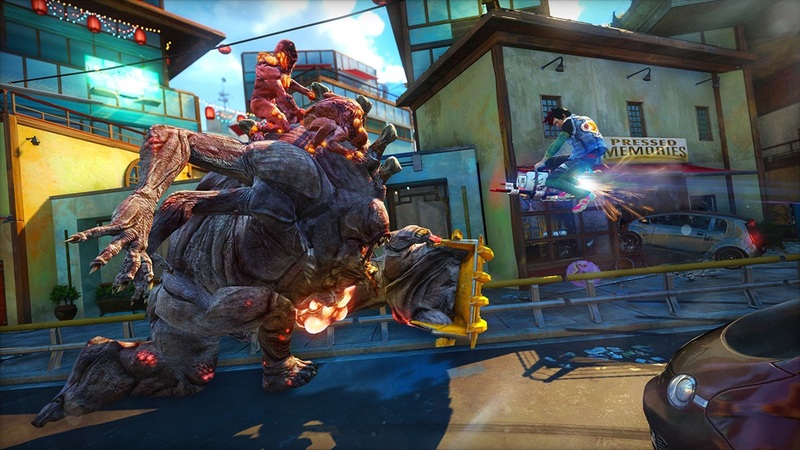 From what I’ve seen so far, Sunset Overdrive looks like a blast but, of course, there’s plenty of time for it to turn into a generic open-world shooter that we’ve seen too many times before. Here’s hoping not, eh?